Buying or selling real estate? I'm here to help! I am a Burnaby based REALTOR® that lives in the Highgate/Edmonds Station area. I work across Metro Vancouver and can help you buy or sell detached homes, townhomes, and condos, for both personal home and investment property purposes. 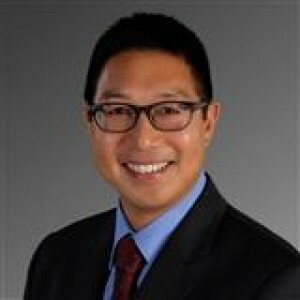 Please visit www.PatrickHung.ca to learn more about the services that I can provide to help you buy or sell Metro Vancouver real estate! * Master of Business Administration (Finance) - Simon Fraser University, 2002. * Bachelor of Business Administration (Finance, Minor: Publishing) - Simon Fraser University, 2000. * Diplome d'Etudes Collegiales (Applied Science) - Marianopolis College, 1995. * Born and raised in Canada. * Resident of Metro Vancouver since 1995. * Fluent in English and can speak French. * Previous careers were in Corporate Finance and Retail Banking. When not working, you'll probably find me hanging out with my wife and two young daughters riding the train at Metropolis at Metrotown, at Brockton Oval in beautiful Stanley Park pitching the softball (and praying that the ball doesn't get hit straight back at me), or at Marpole Curling Club yelling at my teammates to "Hurry Hard"! Please sign-up for my monthly e-Newsletter for real estate updates and ideas direct to your e-mail Inbox. Simply send me an e-mail and I'll add you to the distribution list! I may be contacted at (604) 715-9908 or Patrick@PatrickHung.ca. Thank you for keeping me in mind and I look forward to speaking with you!